Permission has been granted to proceed with work on a new dry bulk quay at the Brazilian Port of Paranaguá, in which investment of $47.77 million will be made. This money will be entirely generated by the port authority, Portos de Paranaguá e Antonina (Appa). The work will involve modernisation of berths 201 and 202, as well as expansion of 201. 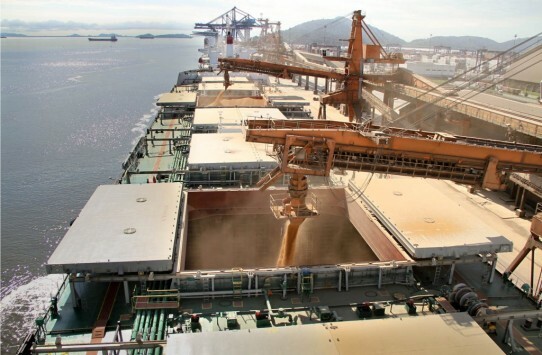 Estimates suggest that the upgrades will triple export grain capacity whilst at the same time boosting the competitiveness of exports in the states of Mato Grosso do Sul, São Paulo, Santa Catarina and Paraguai. By expanding the handling area, truck turnaround times should improve dramatically and cut peak harvest queuing times for road haulage vehicles. Work, which will be undertaken by the B201 consortium (Tucumann and TMSA), will take 18 months to complete. Berth 201 will be expanded by 100 metres, while upgrades to both 201 and 202 will allow them to be dredged to a depth of 13.7 metres. Dry bulk loading equipment is also to be revamped with the arrival of two new shiploaders, which will have a capacity of 2,000 tonnes/hour compared to the two existing machines, which offer rates of 1,000 tonnes and 2,000 tonnes per hour respectively. According to APPA president, Lourenço Fregonese, the project to improve the dry bulk handling area dates back 28 years, with three versions of an upgrade project drawn up in 1990. The key aspect of the current work is that the extension of berth 201 by 100 metres will allow large ships to call, boosting capacity from 2 million tonnes of grain annually to 6.5 million tonnes.